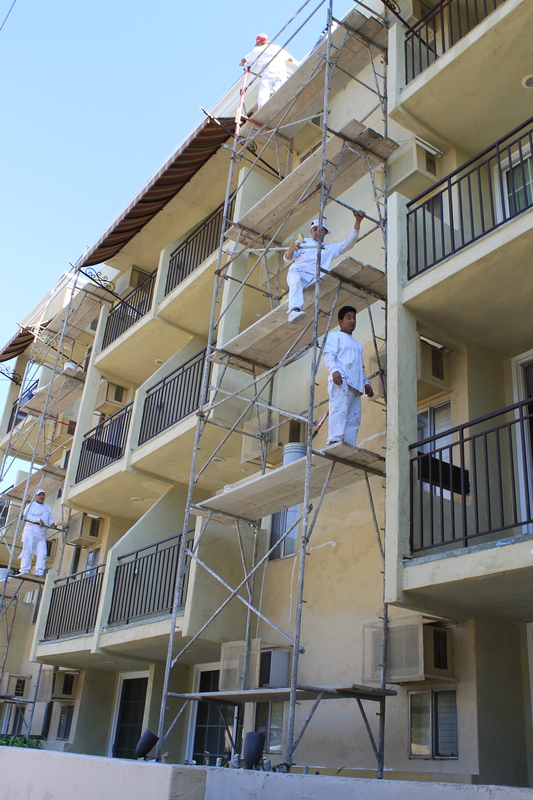 Over the years, we’ve been provide painting services to commercial clients. Le Montrose Suite Hotel is one of them. 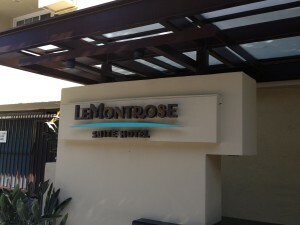 Le Montrose Suite Hotel has 126 rooms, takes up most of a city block, is 4 stories high, has a swimming pool, deck and tennis court on the roof and is usually filled with guests who paid a lot of money not to have painters walking on their balconies. If communication is an important part of working on a homeowner’s property (and it is) then this project was that X 10. Our biggest challenge was keeping our crew, the scaffolding team, a gutter company using the scaffolding and hotel management all on the same page. We kept to a tight, precise schedule for working on each floor and balcony which was forwarded on to every guest each day. There were a few testy, challenging times but over all we accomplished what we had to, on time and on budget.